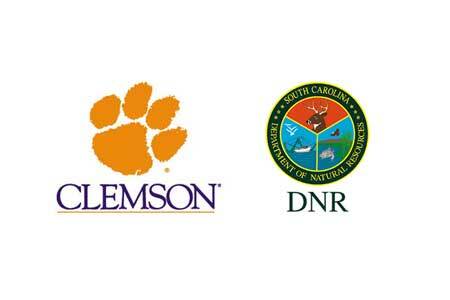 COLUMBIA, S.C. – Clemson University and the S.C. Department of Natural Resources (DNR) recently renewed their “Cooperative Agreement” during recent meetings in Clemson. The agreement strengthens a more than 31-year collaboration between the two entities by codifying the process of sharing assets and exchanging personnel in natural resources and wildlife conservation teaching, research and extension. “This agreement has enabled the DNR and Clemson to work together in research, outreach and teaching in natural resources conservation, and to collaborate in maintaining a healthy environment and high quality of life for our citizens, especially those that enjoy the outdoors. Clemson’s programs have been crucial in training students to take on leadership roles in the natural resources field, many of whom have gone on to have careers with our agency,” said Alvin Taylor, director of the DNR. This most recent agreement forms a cooperative program committee made up of five representatives each from Clemson and DNR. The committee will meet regularly to evaluate cooperative programs, make recommendations for improvement and assess current and future areas of collaboration. ‘The citizens and natural resources of South Carolina have benefitted greatly over the years from the collaborative efforts of Clemson and the South Carolina Department of Natural Resources. This agreement allows us to work together even more efficiently to meet the natural resources and environmental challenges and needs of the citizens of this state,” said Greg Yarrow, chairman of the natural resources division of Clemson’s School of Agricultural, Forest, and Environmental Sciences (SAFES). Since the 1970s, the South Carolina Department of Natural Resources and Clemson’s programs in wildlife and fisheries biology, environmental and natural resources and forest resource management have collaborated on efforts to protect, maintain and grow the state’s $54 billion annual natural resources economy. Through student internship programs, applied research efforts, and outreach programs the cooperative programs have provided critical answers to some of the state’s most pressing natural resources and environmental challenges. Most recently, Clemson researchers and DNR began working together to design an adaptive conservation and management strategy for the state’s alligator population with the goal of adjusting harvest numbers annually so that alligators remain an economic and ecological asset to the citizens of South Carolina. Clemson and DNR also work together in such areas as architecture, engineering, economics, geology, hydrology and water resources. “This agreement helps ensure the future health and vitality of South Carolina’s natural resources which are so critical for the economic and recreational wellbeing of our citizens,” said Patricia Layton, director of SAFES. The new agreement will run for a period of 10 years until June 30, 2023. One Response to "Clemson University, DNR Renew Cooperative Agreement"